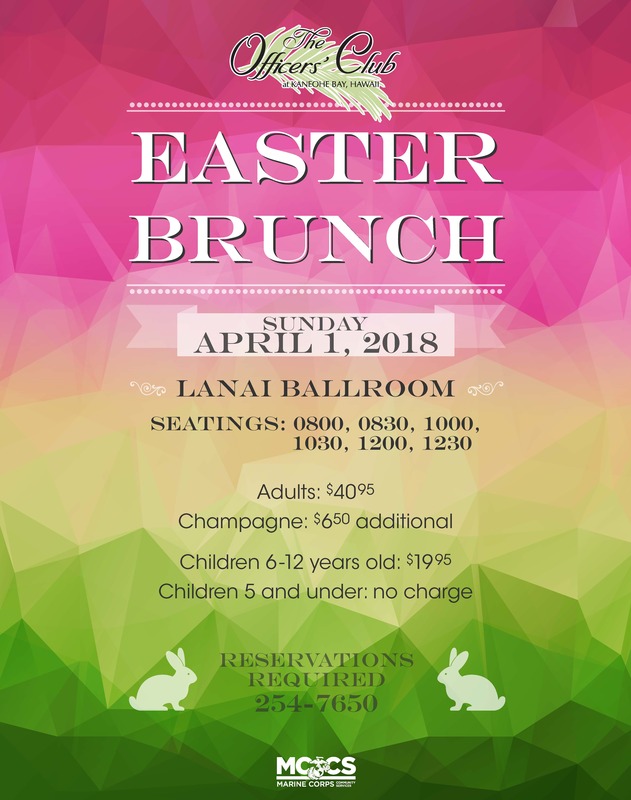 Celebrate Easter at aboard Marine Corps Base Hawaii at The Officers’ Club in the Lanai Ballroom. Enjoy an Easter Brunch on April 1 with six seating times to choose from. Reservations are required.